Some years ago I’ve found myself living alone and had lots of time on my hand. I wasn’t at my best those days; I felt pretty low most of the time, sometimes even depressed and was full of frustration. To release these uncomfortable feelings piled up inside me during the years I wanted to do something that kept me occupied and entertained and gave me a break from the hell I was in, emotionally most of the time. Sometimes I felt a very strong push from inside to get in touch with my inner world, so I wanted to do something that helped me forget about everything around me and directed my focus inside. One afternoon I went to town to purchase the necessary tools and sat down to draw. I started with the basics and spent some weeks with practicing. After a while I felt comfortable enough to draw figures and portraits and had my own ideas of the schemes I was drawing. I was pleased with the results and realised how drawing really helped me think through what I really wanted from life and took me out for hours of this stressful world completely. I was so happy it worked for me, it was exactly what I wanted. There was no surprise there I got addicted to drawing and in a very short time I made many of them. 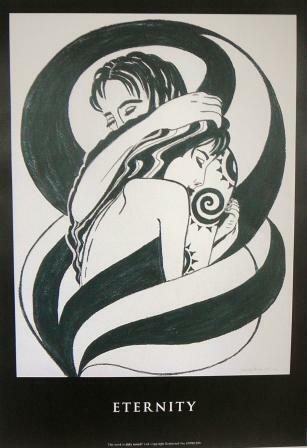 Each drawing had a special role in releasing my emotional blockages, expressing desires and wishes from my heart. After completing every single one of them I felt better, happier and much, much calmer. 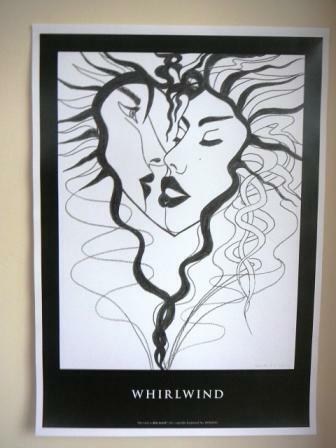 This was the time when Whirlwind and Eternity was born amongst many other drawings of mine. Later on I made them into black and white pencil and water colour paintings. How the story ends? Well, it’s up to you to decide. If they manage to stay together in the “eye of the whirlwind” they will be tied together forever… If they can’t their love will be as short lived as whirlwinds are. Mine certainly was like a whirlwind, but as it disappeared it gave place to something more amazing, a different kind of love. Eternity was born a bit later, towards the end of this period. As the title suggests it is symbolising eternal love. It is about finding your soul mate, your other half, and from that moment loving each other, caring for each other, staying together till the end of time. The black and white stripes symbolise Yin and Yang, the Female and Male energies working in harmony. It is also an Infinity sign (∞) turned into an upright position. This is one of my favourite works, so I turned it into a pencil and watercolour painting too. By now my life has changed completely, but from time to time I go back to drawing or painting when something is emotionally eating me from inside. And the impact is the same on me as it was years ago i.e. calming and therapeutic. 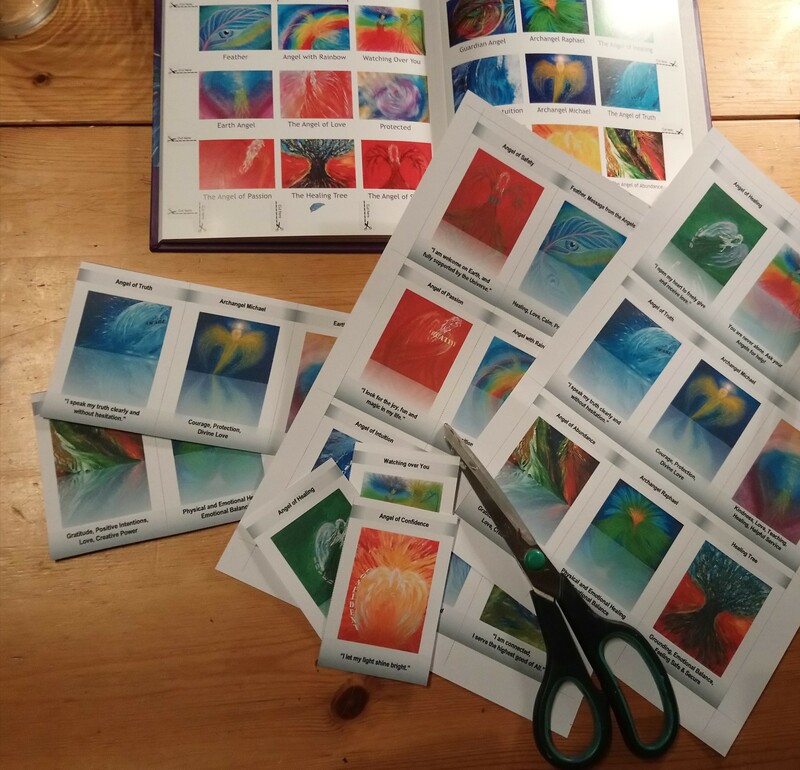 I am aware art therapy is one way of helping people to get their conscious and unconscious side in harmony by expressing stuck feelings with colours and drawings. I am glad it worked for me intuitively. If you feel drawn to drawing, painting or other creative activities give it a try. You will know from inside what exactly is right for you. Eva Maria Hunt (Szanto) energy healer: certified Reiki Therapist, Practitioner member of the UK Reiki Federation, S.N.H.S. Dip. Colour Therapy, S.N.H.S. Dip. Crystal Healing, Healing Crystal Jewellery designer. ← Presents for Christmas Workshop – Make this Christmas very special by creating gemstone/crystal gifts of your own design!